Today, millions of Americans rely on contact lenses as a comfortable means to clearly see the world around them. Modern contacts provide amazing results that can enhance your quality of life. 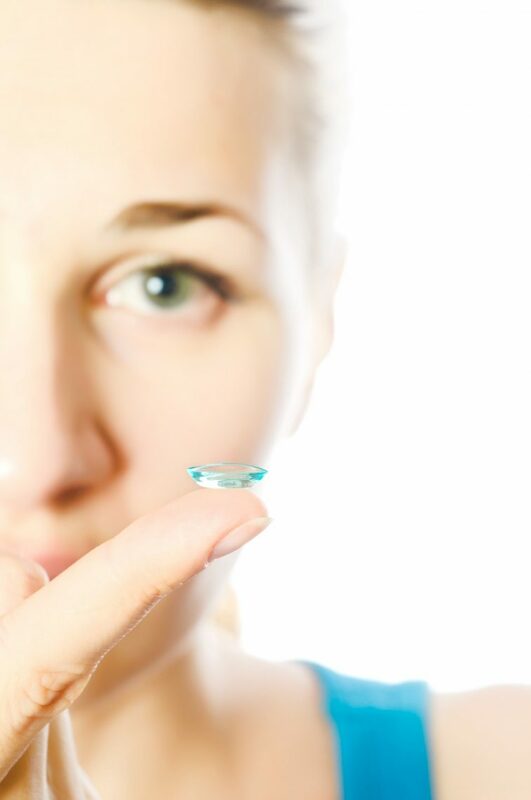 If you are new to contact lenses, though, some challenges may arise. In some cases, serious problems may require the care of a professional eye doctor for assistance. It pays to take the proper steps to keep your eyes healthy with contact use, and our Fresno optometrists are here to help! Signature Optometry delivers ideal care for patients with a variety of needs. Today, we’ll highlight a few tips that may help you make the most of your contact lenses. One of the easiest ways for germs to invade your body’s defense system is through contact between your hands and face, especially the eyes. It is essential to always wash your hands thoroughly before inserting or removing your contacts. Try to utilize a lint-free material to dry your hands, and avoid using oily or scented soaps, as these can impact the integrity and comfort of your lenses. Moisturizing hand soaps, for example, can leave a film on the skin, which can then be transferred to the contact and eye. Wash up before you apply your lenses to keep your vision safe! Contact lenses come in all shapes and sizes, and many harbor their own unique designs for a variety of patients. It will prove vital for you to use your new contacts only as suggested, including the length of use, time of day used, and more. If you have contacts intended to be disposed of daily, then be sure to throw them away at the end of each day. Monthly contacts should only be worn for one month, and so on. Wearing your lenses past their intended period can put the health of your eyes at risk. Continual disregard of this tip can also lead to long-term vision problems, so be sure you wear your contacts responsibly! Proper procedures need to be followed when storing your contact lenses to avoid any contamination. 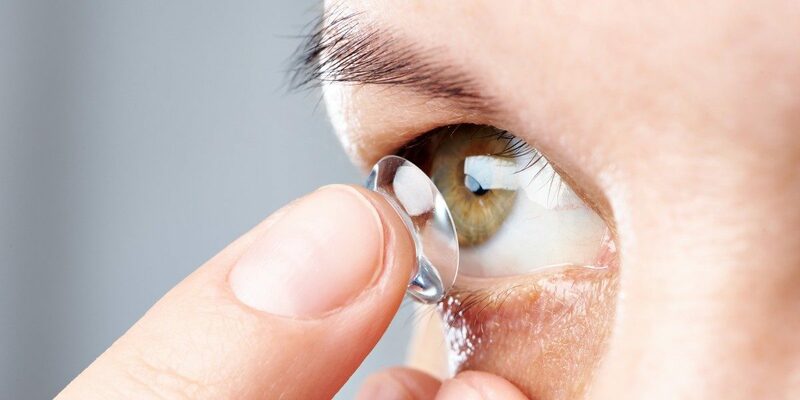 Be sure to properly clean your contacts, storing them in an appropriate case with a decent amount of solution. One common error people make with their visual health is not replacing their contact cases often enough. The American Optometric Association recommends changing your case at least every three months. It also pays to minimize the potential for danger. After each use, be sure to empty your contact case to allow for clean solution. Failure to do so can lead to serious eye infections. Follow your eye doctor’s instructions when you pick up your new contacts for the best results! Wind, sunshine, and a variety of other factors can all sap the moisture in your eyes, creating a serious need for moisture. Signature Optometry recommends carrying drops with you at all times to minimize discomfort and restore your vision if an unexpected problem develops. Do you frequently deal with dry eyes? Reach out to our dry eye clinic to see how our LipiFlow® treatment can deliver amazing results! It can also prove beneficial to bring a backup pair of glasses in case your contacts run into an unforeseen problem. Many people have reported losing at least one contact, while others cite tears, rips, and other issues as a reason to store extra eyewear. This may prove even more advantageous for those facing contact problems on the road, or away from home. When things aren’t going smoothly, your eye will likely show signs of redness and possible inflammation. Watery eyes can also point to a problem. If you notice any issues, be sure to take your lenses out immediately for disinfection. Sometimes, small debris can infiltrate and cause serious discomfort. If your contact lenses continue to cause irritation, then we recommend throwing them away and picking up a new pair. Red, watery eyes that do not get better over time can be indicative of more serious health issues. Be sure to schedule a visit with your local optometrist for assistance, and check to ensure your eye is healthy before resuming contact use. Is the Lens Inside Out? When you go to put your contacts in first thing in the morning, one thing becomes obvious — you have a 50/50 chance of putting your lens in inside out. New patients that visit our optometrists in Fresno face a challenge in determining which way is correct, as the lenses will yield very subtle clues. Place your lens so that it is open upwards. Look at it from the side. If the lens forms a round “U” shape, then it is facing the right direction. If the edges flare outward like a bowl, it is incorrect. It’s ok if you put your lenses in the wrong way. There are no serious dangers of doing so, although you will experience some discomfort. Are you in need of contact lenses and are looking for an optometrist in the Fresno area? Signature Optometry takes a comprehensive approach to your eye care, and relies on years of experience to ensure you can see your future health clearly. Contact us today to learn more about our services, and be sure to schedule an appointment with our eye doctors!